A faulty motherboard will cause your laptop or notebook computer to have various hardware issues from no audio/ video, no display, dim or faint images, flickering laptop screen display, a blue screen error message, operating system freezing up etc. 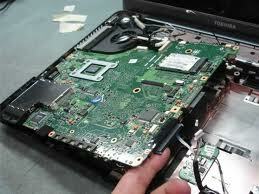 We have skilled technicians who can efficiently perform all laptop motherboard repair and replacement services. 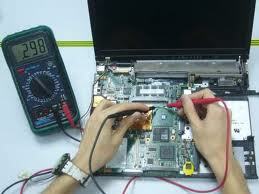 Our technicians are specialized in troubleshooting and repair of leading laptop brands. We can get your laptop working again for a price that cannot be beaten. Do not worry if your laptop is an Apple Macbook, Dell, Sony, Compaq, Lenovo, Acer, Toshiba, Asus, Samsung, IBM, Fujitsu, Alienware, etc… We have the experience and the spare parts to get the job done. We can help you fix the problem. Feel free to contact us at our hotline at +65 9790 0126 or fill up your details in the form on the right and we will get back to you within 24 hours. You wouldn’t want to lose business deals just because your laptop has problems? Take action to get it fix now!